England side that won the 1966 World Cup. He has been inducted into the English Football Hall of Fame and is the uncle of rugby union World Cup winner, Ben Cohen. England Player Profile: George Cohen". englandfc.com. 2014. Archived from the original on 15 October 2013. Retrieved 15 June 2014. ^ https://www.lbhf.gov.uk/articles/news/2016/10/fulham-football-legend-george-cohen-celebrates-brace-honours?dm_i=BGN,4IZMS,IH5LGR,GRFUF,1 ^ Moore, Matthew; Evans, Martin (18 June 2010). 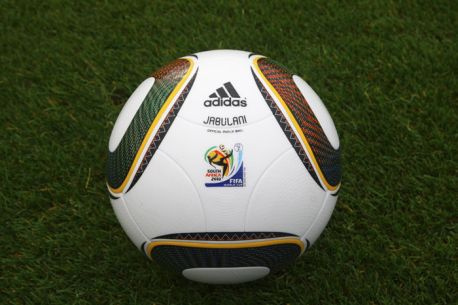 "World Cup 2010: British university in firing line over Jabulani ball goal drought". The Daily Telegraph. London. ^ Clavane, Anthony (2012). Does Your Rabbi Know You're Here? : The Story of English Football's Forgotten Tribe. London: Quercus. p. link. ISBN 978-0-85738-812-4. George Cohen ... was lauded by the Jewish, national and international press. ... [H]e rang up the editor to explain that he was not actually 'of the faith'. 'I have a Jewish great-grandfather,' he said, 'but that's it, really. Neither my father nor my mother was a Jew. I have always been Church of England. ^ Horvitz, Peter S (2006). The Big Book of Jewish Sports Heroes . ISBN 9781561719075. Retrieved 28 July 2011.